Hiroshima International University, Graduate School of Business Management (MBA) Guest Professor. Doctor of Medicine, Master of Commerce. Cranial neurologist, Chinese medicine specialist, industrial physician. 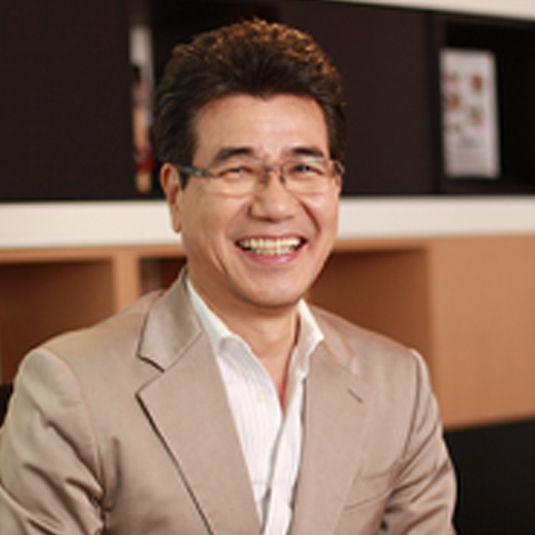 An expert of KANSEI Design Marketing, Yoshinaga is Chairman of the Japan Horticulture Well-Being Association. Author of Horticultural Therapy, Engei Fukushi Nyumon (Beginner’s Guide to Horticultural Well-Being), Takibi Taizen (A Complete Work on Bonfires) (Soshinsha), Clinical Governance (Japan Medical Planning), Iryo Keiei Gairon (Medical Management Outline) (Japan Medical Management Practice Association) among others. 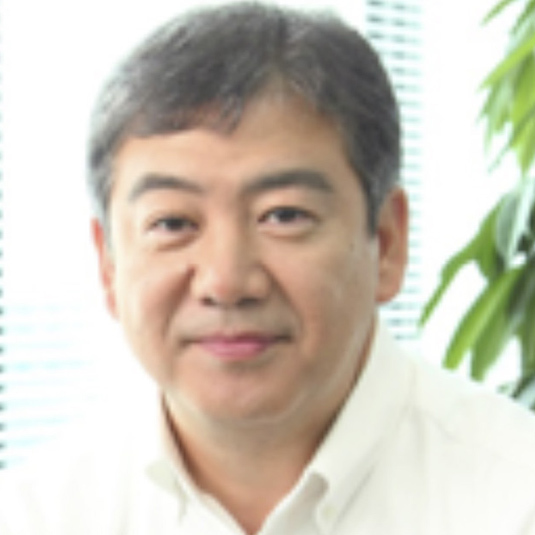 Managing Director of Air Aroma Japan, President of Nekiriki Co., Ltd.
Graduate of University of Melbourne Arts and Humanities Department (Language and Linguistics), University of Sydney Postgraduate School Economics Department, Hiroshima International University, Graduate School Psychology Science Kansei Design. Yanagawa worked at the Australian Embassy in Japan, inviting Australian corporations to Japan as a commercial attaché. After leading the development of numerous joint projects, she took on her current role as Managing Director of Air Aroma Japan in 2011. Her expertise lies in the branding of corporations and public spaces with scents. She continues her studies in the olfactory sense and Kansei Engineering with a doctoral degree at Chuo University Department of Science and Engineering. She is a former professional featherweight division boxer and professional kickboxer. Born in Yatsushiro, Kumamoto. Enomoto began playing numerous instruments as a child, which grew into a passion for music of all genres and playing in a band. Inspired by sounds in a forest, he has developed research in the reproduction of natural environment sounds in architectural spaces and its effects on people, promoting the concept of “spatial acoustics design”. He launched a business utilizing “high-resolution natural sounds”, introducing the acoustic solution product “KooNe” in 2013. He has incorporated the system into high-stress environments to enhance relaxation. Founder of Design Office LINE Co., Ltd.
Born in Kanoya, Kagoshima. Moved to Tokyo after graduating Kagoshima Prefectural Technical High School (Industrial Arts Department). 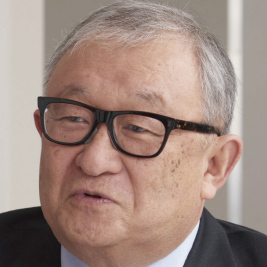 Miyauchi joined Takashimaya Co., Ltd. and worked in the interior design room. He moved to Space Co., Ltd. to further immerse himself in design projects, launching a large commercial shopping complex beginning with the concept. Seeking an environment that allowed full expression as a designer, he and four other architectural designers began Planning Five in Harajuku in 1980. He founded his own company Design Office LINE in 1998, specializing in the architectural and interior design of homes, apartments and commercial spaces. His specialty lies in the European Classic style. In 2001, a large residential complex project featuring Japan’s four seasons led him to shift his attention to creating spaces that demonstrate Japanese sensibilities. Using materials and techniques that have been passed down in Japan for centuries, he turned his focus to moveable architecture constructed with paper textiles. President of KANSEI Design & Co.
President of Design Office LINE. Born in Shibuya, Tokyo. Graduated in business management from Azusa Pacific University. Miyauchi worked in overseas sales for a domestic automobile manufacturer before becoming President of Design Office LINE. He produces events and designs interiors, and in 2017 launched KANSEI Design & Co., specializing in KANSEI Design and consulting with a focus on sustainability. Oliver Heath is an Architectural and Interior Designer and a recognized global expert in Biophilic Design. His work is expressed in number of mediums including the built environment, writing and the media; having worked for a number of television channels including BBC, ITV channel 4 and the National Geographic channel. His last book Urban Eco Chic (Quadrille) sold over 30,000 copies in 6 languages. 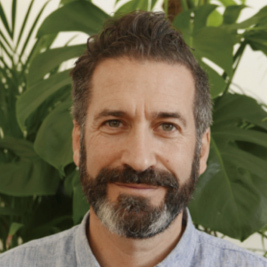 He has acted as a spokesperson for the Department for Energy and Climate Change (DECC), the Energy Saving Trust (EST) and the Waste and Resources Action Programme (WRAP) and is currently a Biophilic Design Ambassador for Interface. 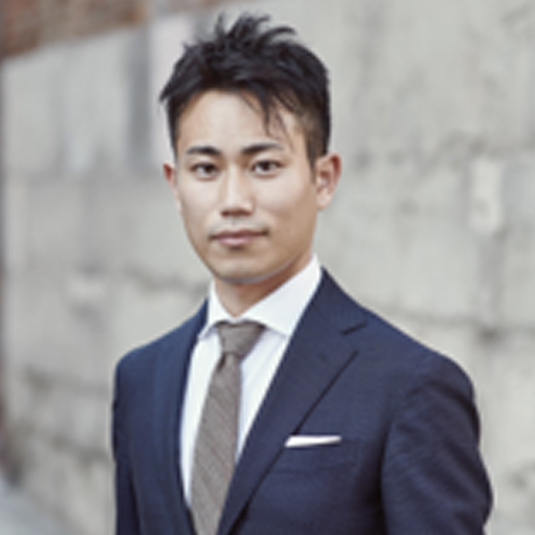 Based in Seattle, USA and Japan, Tsuji is an architect specializing in sustainable architecture around the world. With an awareness of the land and local region, his designs help to revive and continue renewing the surrounding environment. Raised in Akita City, Akita Prefecture, he graduated with a Master’s Degree from Cornell University’s Department of Architecture. 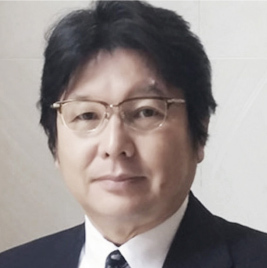 As CEO of I Just Inc., Tsuji has designed numerous buildings including offices, hotels, residences, medical facilities, educational institutions, and recreational complexes. His expertise also lies in business development and management. Aside from his architectural work, he is President of Macchinesti Coffee, a coffee shop with a mission to “show where and how the coffee is grown”. He is a researcher of the classics and ethnic architectural theory. Outside of work, he enjoys the Yabunouchi School of Tea Ceremony.